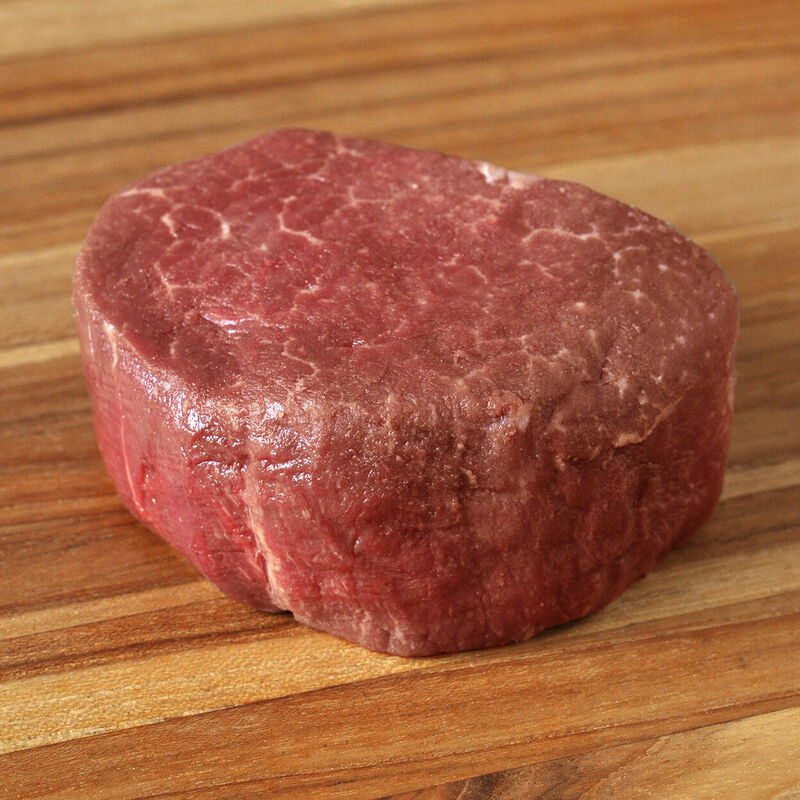 American Wagyu beef filet mignon, from Japanese cattle stock, raised without antibiotics or hormones, on a strict diet to encourage natural marbling, then graded with the Japanese BMS system. Our ranchers create a low-stress environment for the cattle and closely monitor them at every stage of growth. At D'Artagnan, we work with ranchers who raise Wagyu cattle in the Midwest, combining Western ranching know-how with traditional Japanese techniques. The emphasis of the program is humane treatment and a low-stress environment for the cattle throughout their lives. Our cattle begin on pasture and are then introduced to a gradual feeding system in the Japanese style, with seven different feed variations, which include grain, rice plant, and corn, free-choice minerals and fresh water. And, like their Japanese cousins, the strictly-followed diet rotation is the secret to the development of the characteristic marbling, delicate texture and superb flavor. Raised until the age of 30 months, the cattle are fully monitored at every stage of their growth.